It was a cryptic tweet but most people seem to have picked up on the hidden story. Although they lost six of their last eight Tests played overseas, world’s No.1 Test Team India was expected to do well in the Test series in Australia that started on Thursday. The supporters were even more optimistic since the hosts do not have two big names in their line-ups – Steve Smith and David Warner – who are serving bans. Yet, Virat Kohli’s men had a disastrous start to the series as they were reduced to 41 for 4 on Day 1 of the Adelaide Test and were struggling to save the day without getting all-out and cede the advantage to the opponents. The opening pair of KL Rahul and Murali Vijay failed to fire and so did Kohli who got out for three. Vice-captain Ajinkya Rahane fell for 13 while Rohit Sharma’s counter-attack did not last beyond 61 balls in which he scored 37. Wicketkeeper Rishabh Pant got dismissed for 25 and it was all left on Cheteshwar Pujara to carry the innings on his shoulders along with the tail-enders. The right-hand batsman hit a half century and added 50 runs with Ravichandran Ashwin for the 7th wicket to push the Indian total towards 200, something which looked a distant target hours ago. 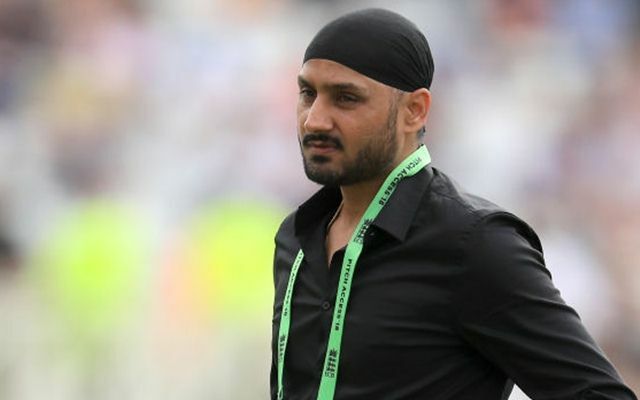 Veteran Indian bowler Harbhajan Singh, who had found himself involved in the infamous Monkeygate in the series Down Under in 2007-08 and had a rivalry with the Aussies on the ground, on Thursday morning posted a tweet which many linked with the struggle of Kohli’s men Down Under. The Indian batsmen were clearly struggling against the Australian speedsters who took four of the six wickets India have lost so far and conceded runs at a miserly rate. For a team which was expected to deliver against what was perceived to be a weak Australian side in decades, the turnout on the 22 yards was definitely disappointing. Earlier this year, too, India were expected to do well in overseas series against South Africa and England but failed on both occasions, losing the series 1-2 and 1-4.